Day Trips from any of Chatrium’s fine central city properties don’t have to involve hours on the road. 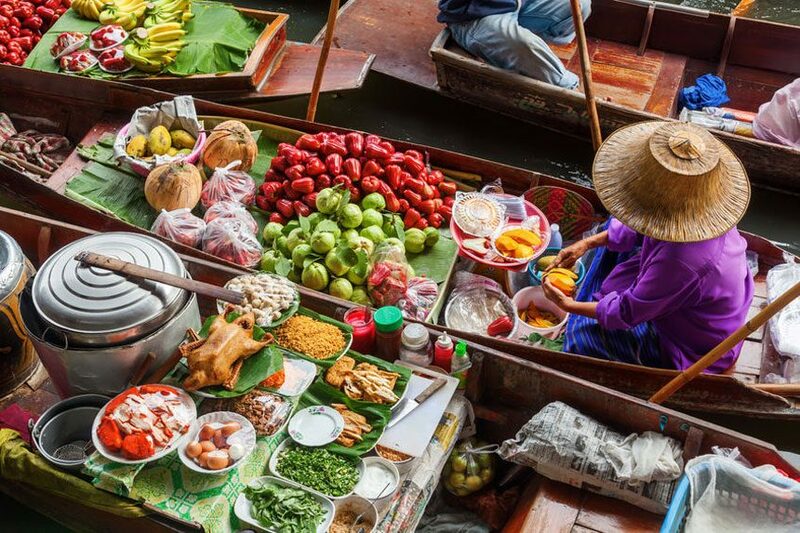 There are plenty of places to visit on the outskirts of Bangkok that will provide the opportunity to soak in more of Thailand’s amazing cultural diversity. 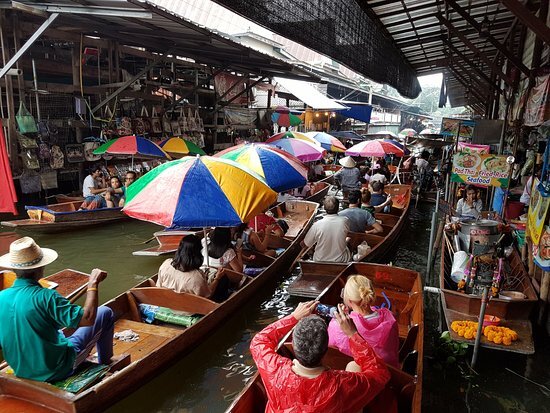 Not far away on the Thonburi side of the Chao Phraya River is the Taling Chan Floating Market, a small riverside market with just enough boats to give the flavour of the larger markets while retaining a traditional feel. Take a short boat ride, enjoy a foot massage and relax while you check out the locally made seafood snacks. 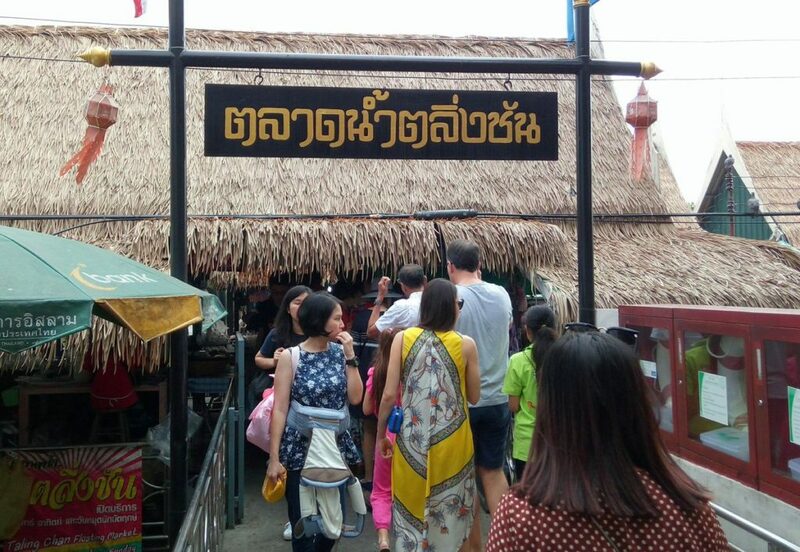 Wat Sai Floating Market is a half hour drive from the city centre, also on the West side of the city. 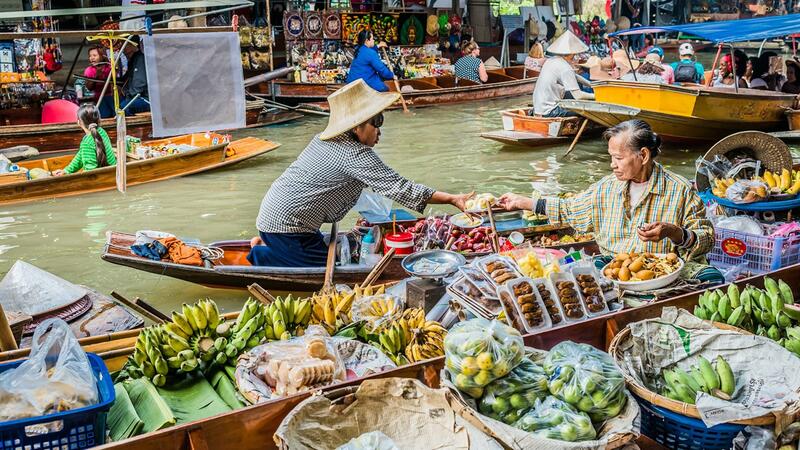 There is plenty of fresh local produce for sale, and a trip along the canal will allow you to see a bit of Thai life up close. Khlong Lat Mayom Floating Market is in the same district as Taling Chan. It’s best to get there early, when there will be a wide selection of local products on a variety of stalls on both land and water. Here is a good place to wander along the canal bank. 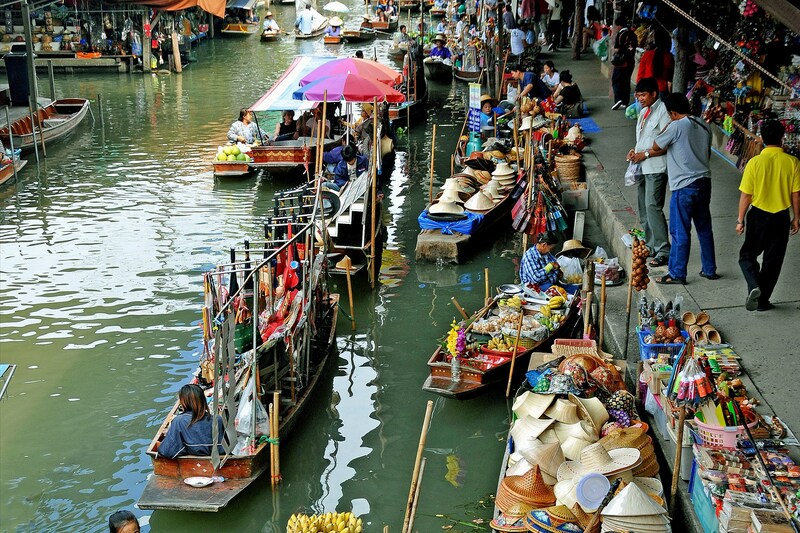 Lastly, Bang Phli Floating Market is 29 kilometers to the east of the city centre. Take the BTS Skytrain to Bearing Station and then hire a taxi for a 20-minute drive. There are stalls in wooden houses along the wooden walkways. Mingle with the locals and sample the great food. There is a temple to visit, and in October there is a lotus throwing festival. For more remarkable trips ask for tips at your favourite Chatrium hotel or residence!